It’s that time of the year where a little visual motivation helps minimize the impacts of winter. Check out a few pics, including a couple 3D images, of the concrete serenity that is Pier Park after the turn. EPM “cross eyed for daze” Out! If you are interested in 3D photography and you happen to own an iPhone, boy, are you in luck. The folks over at Juicy Bits Software have developed an app called 3D Camera that makes producing 3D photos a breeze. The interface is intuitive and supports the creation of stereo pairs (parallel and cross-eyed), anaglyphs (color and black/white) as well as wigglegrams, an animated simulated 3D effect. If you are even mildly interested in 3D, this app is for you. Check out some skateboard wheel fetish shots after the turn that include wigglegrams, cross-eyed stereo pairs, and anaglyphs. EPM “getting all google-eyed” Out! 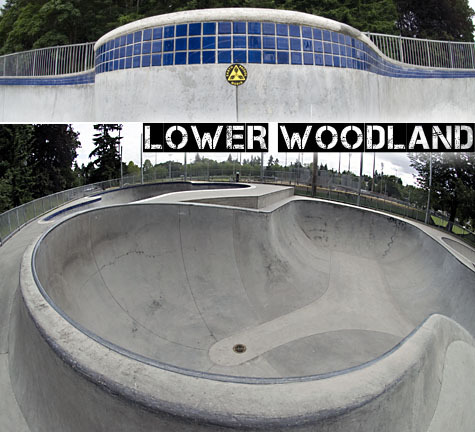 Skateboarder density at the Lower Woodland Skatepark in Seattle was extremely low at 9 a.m. on a Wednesday morning. So what’s the point? Well, it means that you get 3D cross-eyed paired photos of the terrain instead of local skaters shredding their local spot. Check out all the concrete still-life after the turn. You grow up and you calm down. Nope, don’t think so. Defying the damp and dark nights, we explore MC’s backyard skate beacon on this week’s edition of Foto-Friday. Check out the gallery below and a few bonus 3D shots after the turn. EPM “Ha, Gittalong, Gittalong” Out! Often while we were digging the hole that is now MC’s bowl, Mark would pose the question: “What song am I thinking of now?” On quite a few occasions the answer to that question was Break on Through by the Doors. It’s a place where we dug our treasures and now chase our pleasures. Now break on through to the other side of this post and check out some 3D cross-eyed pairs of MC’s bowl pour. Well, MC’s piece of grind is coming along nicely. As you read this, rebar is crawling down the walls of the bowl in preparation for some concrete in the not so distant future. Check out a few 3D cross-eyed pairs prior to rock and rebar after the turn. We have reached the bottom grade in both the shallow and the deep in MC’s backyard bowl. Now it’s just a matter of removing the excess dirt to get the rest of the bowl in shape. Grab a shovel and come on over. Click on the image for a larger view of the 3D cross-eyed pair. It seems Pier Park is being left out of the mix for this year’s Trifecta stops. Based on folks positive feedback from last year’s event, it seemed like Pier would be on-lock as a repeat venue. Not to be. 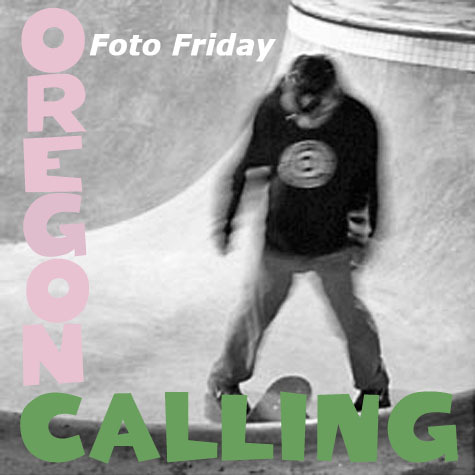 This year’s second stop is the ever popular jurassic Tigard Skatepark. Wonder if we will see B.K.’s idea of a kiddie pool full of water on that volcano to spice things up a bit? Sure will miss Serge floating those massive airs above the lip at Pier Park. Check out a few 3D pics of the pipe and mouse hole after the turn.